Children excel in school when they can practice and apply their new skills at home under the guidance of a caring adult. Unfortunately, for many of our clients, long work hours and language barriers prevent some parents from giving their children the academic support they need. 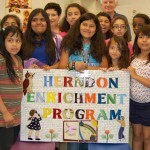 The Herndon Enrichment Program is a free evening academic program for students in grades 3-7 who need to improve their basic reading, writing, spelling, and math skills. This program meets at the Herndon Neighborhood Resource Center. Professional teachers, assisted by volunteer teacher’s aides, lead small classes of students, helping with homework and creatively reviewing basic concepts in language arts and math. Parents work with their child’s public school teachers to obtain a referral. Program teachers work closely with a student’s parents and school teachers to create a plan tailored to each child’s needs. Students from eleven Herndon schools participate in the program. 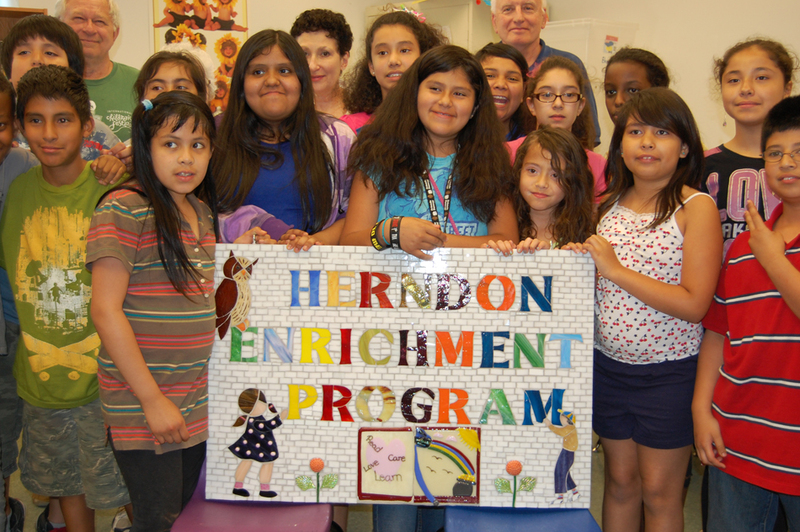 Students in the Herndon Enrichment Program receive support twice a week (M/W or T/TH) in classes of 15-20 students. The program also connects parents to resources to help improve the student’s home environment. Vecinos Unidos makes a difference in the lives of students in grades 1-6 through homework assistance and summer enrichment programs. Originally formed to address the academic needs of Hispanic students, the program expanded to assist all who are in need of homework assistance. Questions about Tutoring & Homework Assistance? Contact Karen Pope, Program Manager for Resource Centers, 571-323-5011.